Have you ever been sitting at your computer, waiting, waiting, waiting for a trading signal? And during all that wait time, you find yourself bored out of your mind and contemplating coding classes just so you can program a machine to do this watching for you. Or maybe, while you were waiting, you noticed prices rise to your exit point and beyond. Then the daydreams begin — you picture yourself making ten times the profit outlined in your trading plan, filthy rich and drinking pina coladas on the beach until the end of days. So, in your fantasy-fueled trading haze, you hold off on the exit, and hold off on the exit, and hold off on the exit. And it all goes well, until it doesn’t. Suddenly, the price drops below your original exit point — you got greedy, and it cost you. Or perhaps you saw the prices drop and you panicked. When they free-fell past your exit point, you squeezed your eyes shut and blindly hoped they’d recover, only to lose even more. And with every human error, you wonder why no one’s invented the machine to do this job yet. Well, we were wondering the same thing. But we’d already taken the coding classes. So instead of waiting for someone else to come up with the solution, we created it. For decades, institutional investors have been using algorithmic trading. But this kind of automation was off-limits to the rest of us — it’s time-consuming, expensive, and requires a full-time maintenance team. This puts these career-traders at a huge advantage: they’re the first ones to see the signals, and their computers can act on them before humans even see them. But we felt that even if you’re not making a career of trading, you should be able to play the markets on a level playing field. Our platform simplifies trading, allowing you to automate strategies with a natural language-based interface, so you can use English input commands to perfectly program your strategy without any coding knowledge whatsoever. Just enter your strategy into the Strategy Creation Wizard, then you can sit back, relax, go for a drink, call your mom, do literally anything that isn’t waiting, and let us take care of the rest. 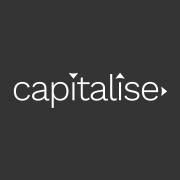 With the Capitalise Platform, you can program your entry and exit positions from start to finish, and the platform will manage your position. That includes planning your entry, defining your exit, and looping your strategy so it’ll work for you in the long run. That way, it’ll repeat your strategy indefinitely until you stop it yourself, working as your long-term investment vehicle. So instead of waiting, waiting, waiting for the right signal, you can actually go live your life away from the screen — go outside, take a class, even talk to another human being! Just remember to use sunscreen. Plus, you can open as many strategies as you want. Because only the strategies that trigger will use your buying power, you can maximize your trading potential. That way, you won’t need to plan your trades according to the likelihood they’ll actually trigger — you worry about setting up strategies, and we’ll take care of making the trades. We also aggregate data from more than 60 different sources all around the web, so all the trades you automate are triggered in real-time, not a few days later. And you can execute all those real-time trades across multiple exchanges with cross-exchange trading. As you can tell, we’re all about that real-time sh*t.
And if you’re not quite ready to jump into the proverbial deep end of the metaphorical trading pool, you can test your strategy out with simulation mode. That way, you can see how your strategy will run using actual, up-to-date data, without taking on any of the risks. Plus, you can set up notifications, and we’ll let you know if and when that scenario happens so you can make the decision for yourself. But we’re not stopping with that. As we move forward, we’ll be building a community with the Social Arena and letting you get more from your trades with Backtesting & Optimization. To sum it all up, we’re making trading something that can fit into your life, without taking it over. 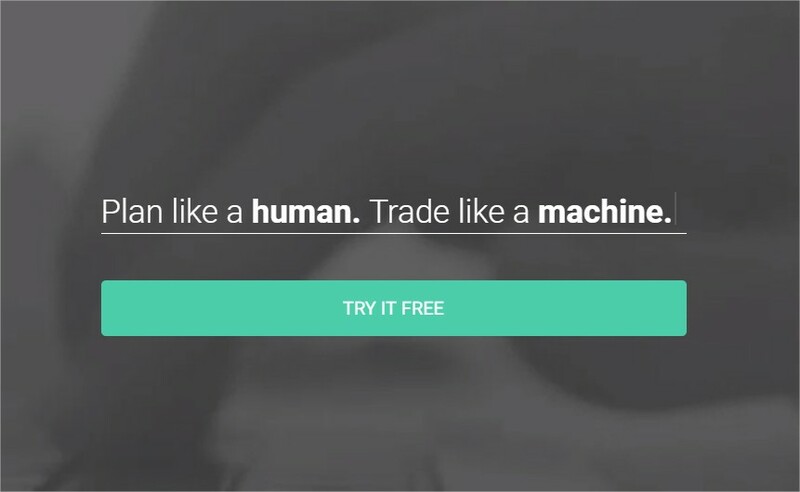 We’re turning the tables on trading: you’re no longer a slave to the machine — you’re its master.